A crafty friend of mine tagged me into a post BBC Radio Sheffield was making a request for a dear old lady who is coming up 100 years old on May 31st she does not have any family and wanted her birthday extra special. 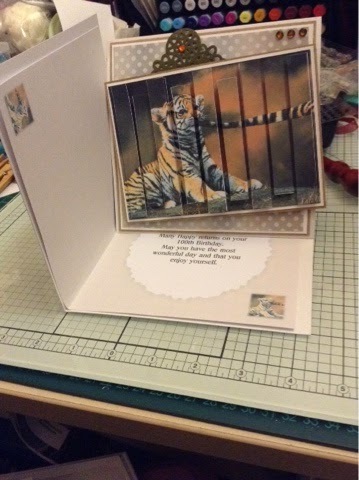 I wanted to make an easel card and also a normal card which had an insert inside, and I decided to make this. The doily is from crafter's companion die'sire range. I am hoping she has a good birthday. What a cute image and love the design. 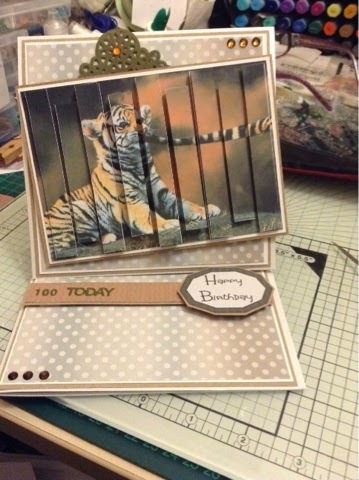 Wow, 100 years old, now that's a time to have a very special card made! Lovely image and card Sam.